Earlier today, the five largest movie theater chains in the country decided that they would not, in fact, show The Interview, a movie about a large scruffy man and a dazed handsome man who assassinate North Korea's Kim Jong-un. The retreat prompted Sony Pictures to cancel the movie's premiere altogether. And the ramifications of that choice are going to be felt for a long, long time. The Sony hack had already caused unprecedented damage. The studio it targeted was embarrassed, its secrets exposed. Past and present employees found themselves to be collateral damage, their medical histories, financial information, and intimate moments providing toxic flotsam for the flood. It had been, by any measure, the absolute worst case scenario. But even then, it was at least somewhat self-contained, quarantined by the singular, obsessive focus of those responsible. 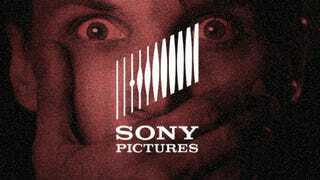 The hackers wanted to destroy Sony Pictures, full stop. That's ambitious, but at least it has defined limits. A little more than 24 hours later, movie theaters caved. It was a matter of minutes before Sony pulled the plug entirely. It's not surprising that the theaters turned tail, and frankly it's hard to blame them. No matter how little credibility the threat had—the Department of Homeland Security quickly dismissed it—their obligations are to their business and to their customers, who have a vested interest in not being liable or blown up, respectively. The holiday weekend that The Interview was supposed to debut is also critical for the bottom line; last year's equivalent saw a $190 million in box office sales. That's a lot of Into the Woods fans to drive away. So I get it. I understand. Especially if you can convince yourself that the core principle at stake is whether people will people get to see The Interview. That's not, though, the core principle at stake. The core principle is that giving into the demands of an anonymous group of chaos-wielding bad guys will only create more anonymous groups of chaos-wielding bad guys. It's that succumbing to threats, even when it involves a movie you couldn't care less about, only breeds more threats. It's an obvious point, but it's also no longer an abstraction. Sony's not going to make The Interview available on streaming or on demand. Deadline reported earlier that a Steve Carrell thriller based in North Korea has been canceled after the Sony fallout. Financing any major motion picture that even mentions the Hermit Kingdom will be impossible for years. Worse than that, though, is that the Sony hackers have written the playbook for how to silence any disagreeable voice. It's nothing new to make a threat, but today those threats can find an audience as large as the internet itself. Scaring a CEO is nothing compared to scaring her customers. The theaters all know this. Sony knows it too. They still made their choice. And they'll keep making it in the future, by pursuing safer stories, by making smaller waves. Other companies in other fields will as well. The worst part about letting the hackers win this time is that it means they'll keep winning, over and over, without even having to play.